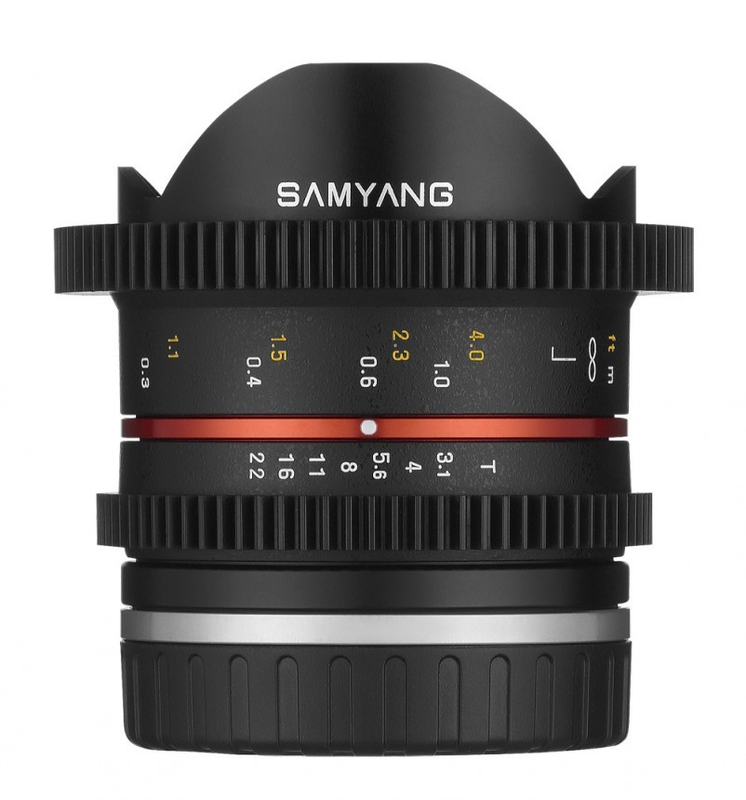 The Samyang 8mm T3.1 Video UMC Fisheye II Lens with Fuji X mount is a compact, manual focus fisheye lens with bright T3.1 aperture and extremely wide-angle of view designed exclusively for video work on Fuji X compact system cameras. This video digital SLR cine lens is fitted with a de-clicked aperture and special mechanisms to make it rack compatible and allow use with the follow focus system to ensure smooth, quiet and accurate rotation of focusing. This also means you can now easily and efficiently adjust the depth of field and focal plane when filming. The lens gives a diagonal field of vision of 180 degrees, and the minimum focusing distance is only 0.3 meters. The brightness of this VDSLR lens is shown by the T-number. Thanks to the multilayer anti-reflection UMC coatings it ensures high contrast and natural colour mapping.